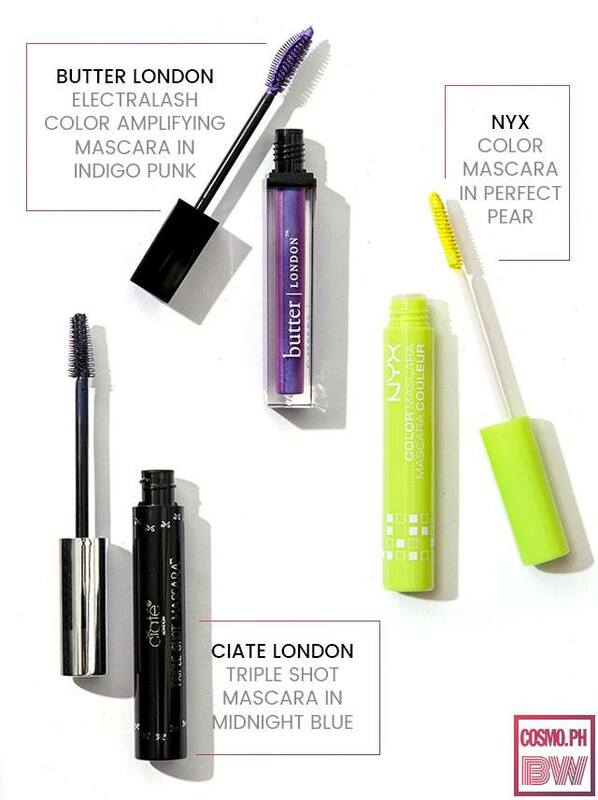 What It Is: Packed with pigments to give your lashes a vibrant shot of color, this mascara from NYX is perfect for gals and guys who like to experiment with their makeup and step outside the box! 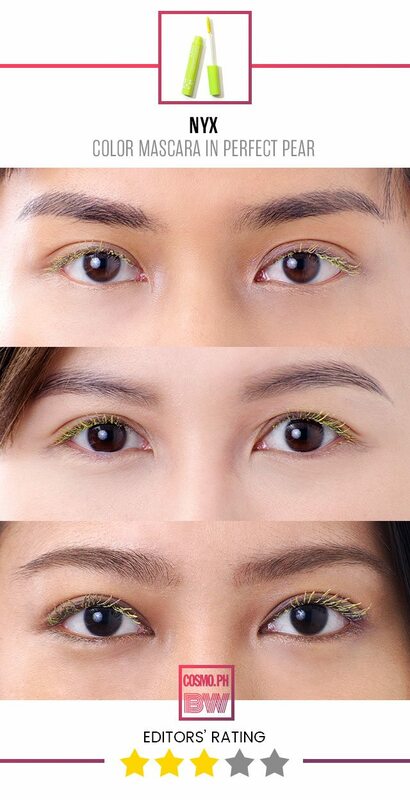 Why We Love It: We were skeptical about Perfect Pear from the beginning, since we weren't sure if such a color would even show up on our lashes. Surprise, surprise—we were proven wrong after ONE COAT! It covered our lashes in a bright shade of neon green, and we felt like Effie Trinket from The Hunger Games by the end. However, when it came to length and volume, this did nothing; it just gave our lashes a cool color, and that was it! If you ask us, this would be perfect for costume parties or if you want to temporarily switch up your lash routine. What It Is: This isn't just a mascara—it's a lash accessory! Butter London's Color Amplifying Mascara has a conditioning formula that will deliver drama and glamour to your lashes, thanks to its dual-textured brush that grips each lash to offer flake-free color with one swipe. 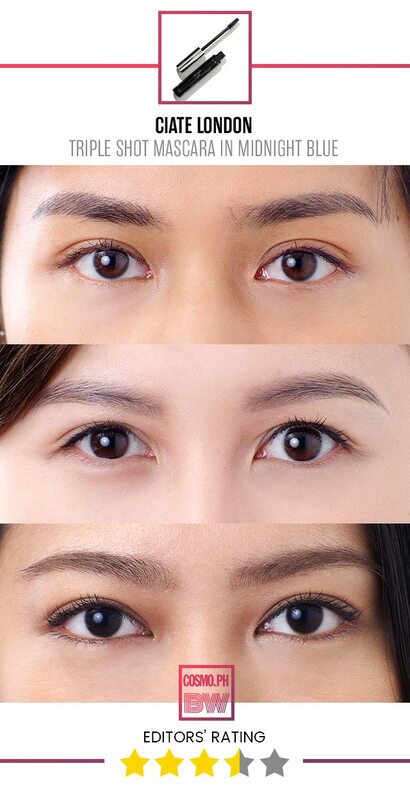 Why We Love It: HOLY SH*T. This product gave our lashes what every woman always looks for when trying out mascara—a lengthening, volumizing, smudge-proof, flake-free, and opaque finish. 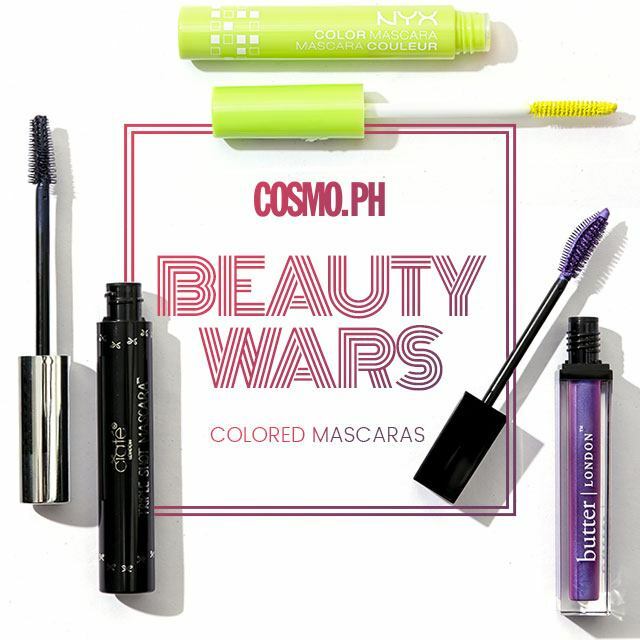 The color of the mascara excited us from the get-go, but it was the vibrant payoff and how well it held a curl that made it our favorite among the rest. What It Is: With its firm, comb-like bristles, this mascara instantly lengthens, volumizes, defines, and curls to create effortlessly thick and glossy lashes minus the clumps. 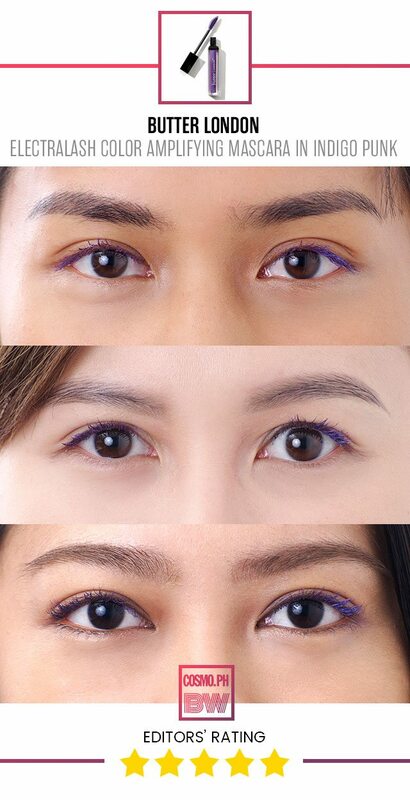 Why We Love It: We were hoping for a bolder tint with this mascara, but it was just a typical black-blue hue—which actually means it's perfect for those who only want a subtle hint of color on their lashes! As for the formula itself? It was good at lengthening, but for some of us, it didn't even hold a curl. If you already have pretty thick, curled lashes, then this one is for you. PHOTOS: Mark Jesalva, Dakila Angeles. MAKEUP: Joyce De Dios.